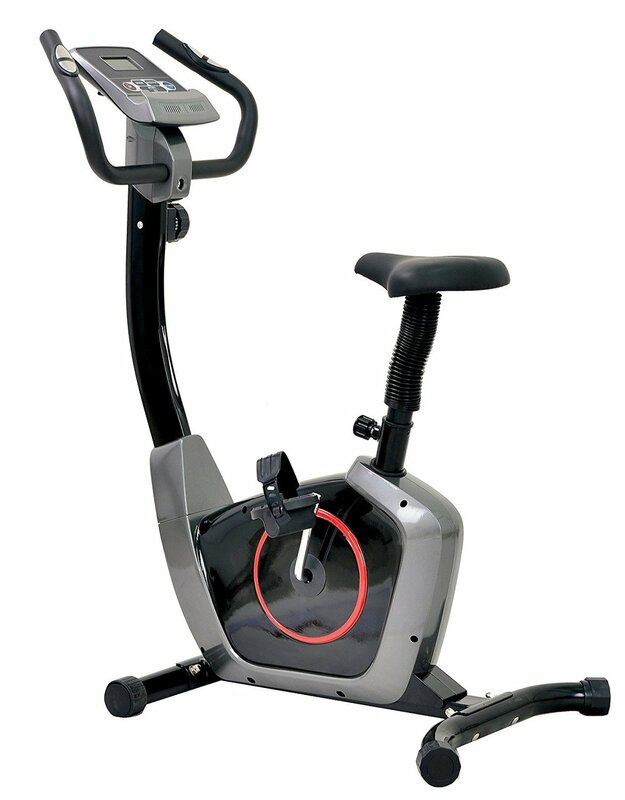 This space saving, smooth, quiet, magnetic resistance exercise bike provides hours of cardiovascular workouts. By using internal magnets, there are no moving parts to wear out and resistance levels stay constant over time. The UB400 comes equipped with a large comfortable and adjustable seat, oversized pedals with adjustable safety straps. Multifunction electronics monitor time, speed, distance, calories burned, and pulse to keep track of each workout. Built in front wheels allow easy movement from room to room or storage.